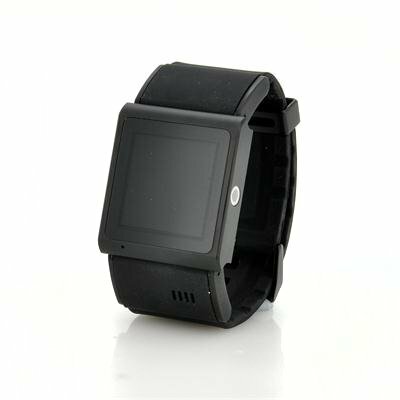 Successfully Added E-Ceros Smart Nano Waterproof 3G Smartwatch - MTK6577 Dual Core 1GHz CPU, 1.54 Inch Capacitive Touch Screen, IP57 to your Shopping Cart. E-Ceros redefines what a Smart Watch is all about with the E-Ceros Smart. This amazing 3G watch phone has a IP57 rating meaning that it's waterproof and dustproof! Never ever worry about wearing a tech watch anymore when you are washing your car, releasing sweat while jogging, or just outside on a rainy day. The E-Ceros Smart will give you peace of mind so you can do what you gotta do. The MTK6577 Dual Core processor is soo powerful that it is almost overkill for a watch, but who cares? It's just awesome to own it. Oh and before, we forget to mention, you can take amazingly sharp pictures with it. Get one, your friends will be jealous. A watch should do more than just tell time. It should connect you to the world. That's what the E-Ceros Smart 3G Watch does. Smart gives you the power to make and receive calls, browse the web, take pictures, download apps, and achieve your goals in stylish form. It's for the forward-thinking commuter, the stylish businessman, the hip teenager, the techy dad. Nothing can hold you back when you've got a watch that surfs the web and acts as a phone. You can get it wet too, since it has an IP57 Nano Waterproof rating. Yet another another reason this watch is more ready for battle than almost any phone. This 1.54 inch phone watch comes with a touch screen so that you can make the most out of Android operating system. It's made with quality glass that will hold up to the test of time. Download an app, find a contact, turn on some music and more with the E-Ceros Smart. It will get the job done while becoming an essential part of your unique style. Show your friends how intelligent you are with the E-Ceros Smart. Ensure if the E-Ceros Smart ever gets wet, that you dry it as soon as possible to. After I took a day to set up the watch, I'm totally happy. For me, the best SmartWatch for Android ... fantastic !!! Ottimo accessorio. E' arrivato difettoso al lettore sim, li ho contattati è mi hanno spedito il pezzo di ricambio. Ora funziona benissimo. 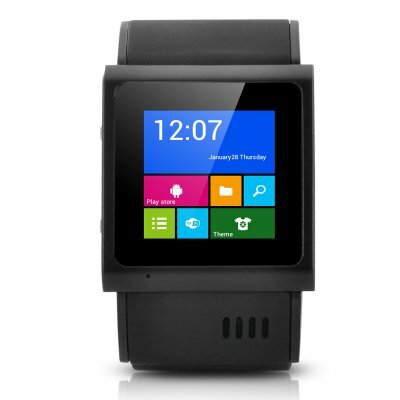 E-Ceros intelligente Smartwatch a 3G, étanche IP57 Nano, MTK6577 Dual Core cadencé à 1 GHz, écran tactile 1,54 pouces, Android 4.0 0S et une couleur noire pure.